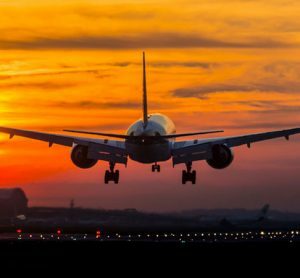 Andreas Delhusen, President and CEO of DHF Airport Systems AB, discusses how the use of alarm management can help increase runway availability and reduce environmental impact to airports. How detrimental can an airfield lighting system fault be? Airfield lighting is critical for operational efficiency and safety, and for reducing the negative environmental impact around an airport. Faults in an airfield lighting system can cause delays in both the arrival and ground departure flow. Aircraft in holding pattern, extension of the approach flight path, additional taxi-out time and queuing at the active runway are all examples of negative effects for both airport operations and for the environment. The problem of alarm management and fault detection in airfield lighting, and several other critical airport systems, is something that is not yet satisfactory solved within the airport industry. Is there software available that can alleviate these impacts? DHF’s add-on software AFDS (Airport Fault Detection System) can improve the alarm situation – which makes air traffic controllers and maintenance personnel aware of the faults in the airfield lighting system so that systems can be repaired as quickly as possible – and thereby enhance fault management and runway availability at international airports. This, in turn, contributes to saving the environment. The time between when a fault occurs and when it is repaired, consists of two separate periods – the ‘fault detection and isolation time’, during which the maintenance personnel has to figure out where the fault is located and what it is. And the ‘repair time’, during which the fault is resolved. The improvement helps in two ways. Firstly it shortens the time for fault detection and isolation, and secondly it increases the degree of correctness in the fault identification. 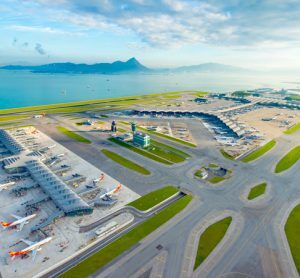 DHF software for alarm analysis can reduce the number of alarms at international airports, and this will improve the airfield lighting system and, in certain critical fault situations, increase the airfield availability. How does the AFDS differ from alternative alarm management solutions? Compared to the alternatives available DHF’s technology is disruptive in the way that it – based on unique algorithms – offers a new set of additional values resulting in a better and a more affordable solution for airports and ANSPs. DHF’s AFDS is the only software on the market able to identify 100% of any possible root faults and filtrate them from any consequential faults. The main benefit and business case for the AFDS is radically reduced downtime which optimises airport operations especially during peak hours and on peak days together with substantial environmental benefits. Can the technology be used in conjunction with existing software? Yes, DHF’s technology does not compete with, but instead works with existing airport systems, and can therefore enhance their functionalities by allowing integration into existing products. This gives the end-user tools to optimise airport operations and reduce costs. Compared to other suppliers on the market, DHF’s AFDS is virtually ‘plug and play’. Airport equipment often comprises many similar components, for example airfield lighting systems consist of lamp segments, control devices, transformers, etc. With AFDS, airports can provide DHF with electronic documentation on each device, how they are connected, and support systems such as power supply and communication networks. DHF can then use this documentation to generate systems automatically with little or no knowledge and engineering which will substantially shorten the project timescale and cost. To do this AFDS needs to read all alarms/events generated by the monitored systems at the airport. Normally, all alarms are collected in a SCADA-type control system server, located centrally at the airport. This server typically has an alarm database. The preferred way is to connect AFDS to the server with the alarm database. What is next for the AFDS? In addition to airfield lighting systems the AFDS can be connected to the majority of critical airport systems. AFDS enables leading suppliers of airport systems to reinvent their own alarm management offerings, especially within air traffic control, baggage handling, security systems, aircraft ground support equipment and airport terminal building management systems. 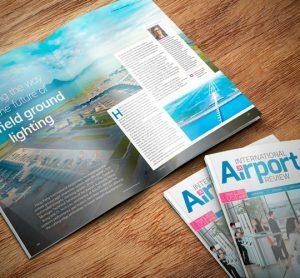 For this reason, DHF is currently in different business development processes with several global suppliers and expects the software solution to be rolled-out to the majority of the world’s 50 biggest airports. We estimate that with this enhanced functionality, airports can increase airport capacity, increase efficiency, reduce the environmental impact and potentially save millions of euros each year. 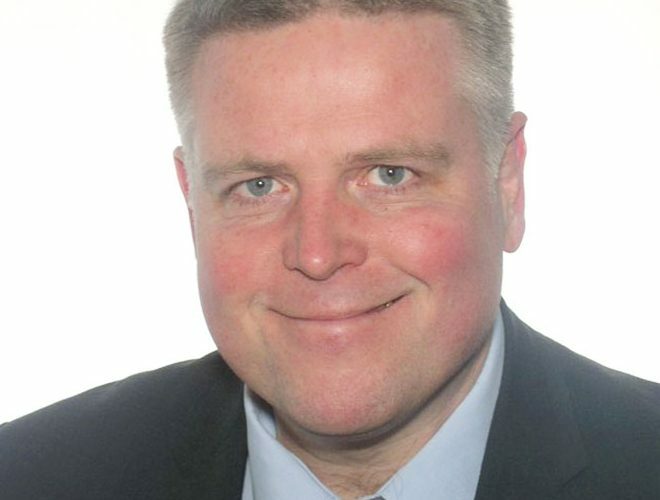 Andreas Delhusen is President and CEO of DHF Airport Systems AB. He has a solid background in aviation and international airport business. 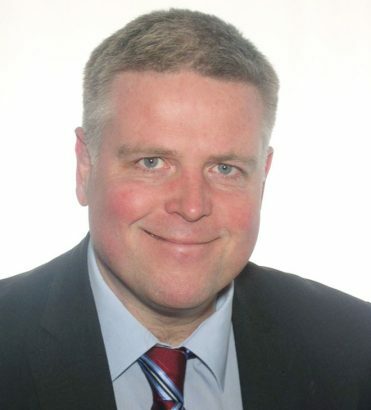 A flight captain with 10 years’ experience as an active pilot, Andreas then spent 19 years dealing with airport solutions such as passenger boarding bridges, visual docking guidance systems, aircraft ground support equipment and airport IT solutions for a variety of air traffic control and airport systems. Andreas is also a true entrepreneur and co-founder of DHF Airport Systems AB.